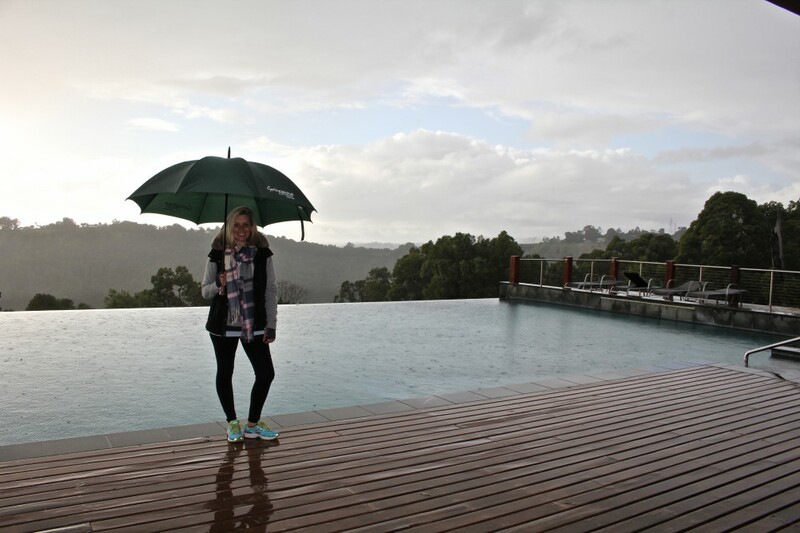 In the middle of winter, I headed back to Gwinganna Lifestyle Retreat on the Gold Coast for another seven-day detox. It had been a rough couple of months and mum and I headed off for a week of healthy food, soul nurturing and a dose of the great outdoors. My first visit was last Easter and I arrived for the sugar-free, dairy-free, gluten-free and technology-free detox having scoffed a cupcake, frozen Coke and Easter Egg on the way down. This time I was determined to do better. And I did … I crawled into my bed at 5.30am on the morning I was to check in, having been out all night. As a result, by the time we checked in I was ridiculously hung over and in desperate need of sleep. Thankfully the McDonald’s I’d eaten for brunch on the way down pulled me back from the brink of a full-blown tequila-induced hangover. Once again, it seems I will never learn. Armed with layers and layers of thermals, puffer vests and coats, scarves, beanies, gloves and leg warmers, I hoped for a week of sunshine to soothe my weary soul. But it wasn’t to be with rain almost all day, every day. Mum ended up with the flu, I had the sniffles and instead of taking part in the great range of activities on offer, we spent our days curled up by the fire playing Scrabble and whispering about the celebrity guest … the gorgeous and super friendly Hugh Jackman. Hugh. Jackman. As in The Boy From Oz, Kate & Leopold and Wolverine. Yes, I worked out with Wolverine. Well, he worked out and I pretended to be doing aqua pilates while watching him work out. It was glorious; the highlight of my week. The low light came on day five when, after so much rain and bone-chilling wind, I’d lost my mind and was found sitting in the retreat’s exquisite day spa crying and wiping my nose on the sleeve of my waffle gown. It turns out, I may suffer from a mild form of Seasonal Affective Disorder (SAD). That or I was just missing my TV on a rainy day. Thankfully, I was kept entertained by the amazing group of guests (once again meeting some lovely friends who I’ve already caught up with on the outside) and the daily dose of pampering at the day spa ensured my body felt better when it came time to head home. 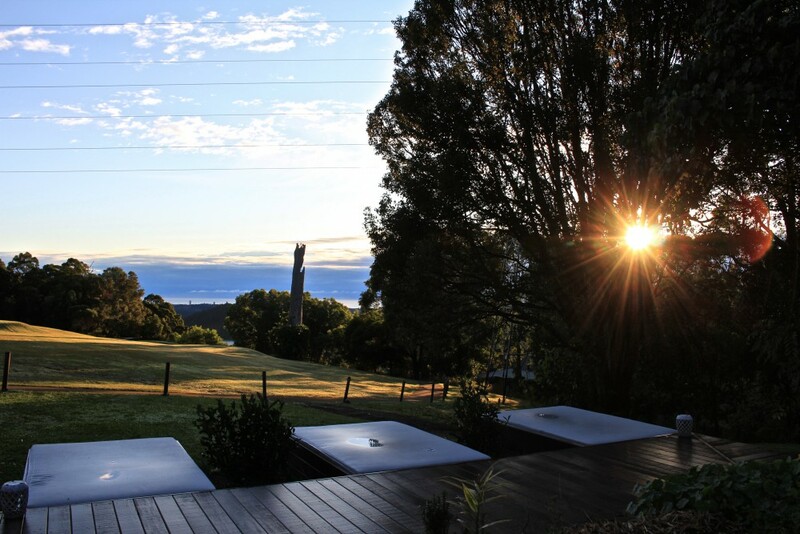 To wrap the week up, the sun came out and gave us a chance to grab some more photos of this amazing 160 hectare property high on the mountain at Tallebudgera and hike up to the Yoga Deck which is 2300 metres above sea level. Immerse yourself in a bath complete with Epsom salts, essential oils and herbs and flowers freshly harvested from the garden. Inside the award-winning Gwinganna spa. The gym where Wolverine works out. Layers and layers thanks to Lululemon. Thanks again to the team at Gwinganna for looking after us for the week; I hope to see you all again when the sun is shining! Haha, I know Georgia! We couldn’t believe it every time we saw him at lunch just sitting down chatting to people. He’s really, really lovely. Mum and I had a chance to talk to him near the end of the week and he was as nice as you’d expect! There was definitely less outdoor work for me … but other people still did it. We curled up by the fire in the restaurant a lot which was pretty cozy. A reunion is definitely needed!